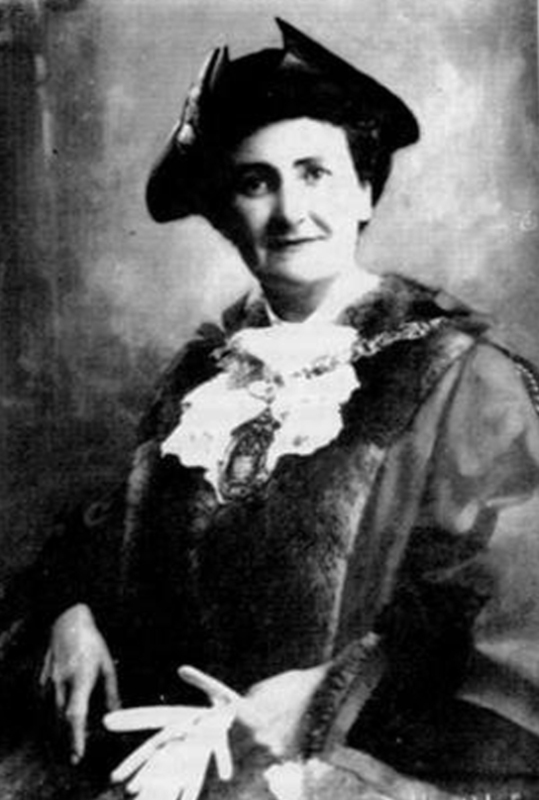 This year we are celebrating 100 years of women obtaining the vote and while researching the subject for a talk I rediscovered the story of Ruth Winston who 60 years ago became the first Lady Mayor of Southgate. She was also a pioneer in other fields. Many of you will know the centre that she started in Palmers Green that now bears her name and offers classes and events for the 50 plus age group in Enfield. Ruth Lipson was born on September 9th 1912 and received an enlightened education for that age. First at The Froebel Institute, then from the age of 10 she attended St Pauls Girls School. Both still highly respected establishments. She then went to King’s College Household and Social Science Dept (now known as Queen Elizabeth College) in Kensington where she took a course that has since gone out of existence. It was the first Social Science Degree. She started her professional career with the old LCC in their Child Care and Mental Health Department. This led to a certain amount of voluntary work. In 1938 she married Laurence Winston. During the war years the couple produced three children one of whom is Robert Winston often seen on the TV these days as a fertility expert and probably more famous than his mother even in Enfield. During the war her previous charity work led her to volunteer for the Women’s Voluntary Service, first as Billeting Officer and subsequently Secretary. Later on she became became Deputy Organiser and this gave her knowledge of Borough Council affairs. In 1945 she stood for the Borough Council and got in as an Independent member, one of three women on the Council.. Her husband died in 1949 but in the same year she started a 28 year career as Hertfordshire adoption officer. Her experience in child care led to her becoming a juvenile magistrate in 1954. She chaired the National Women’s Commision from 1979/81 during which time she led a NWC to China. In the Jewish field she campaigned for Jewish Women’s rights particularly in Divorce. When elected Mayor of Southgate in 1958 she put forward a proposal to provide an Old People’s Lunch Club and ancillary services such as an advice bureau for the problems of the elderly. The freehold premises at 190, Green Lanes, was for sale and it is understood that a figure of £3,650 would be accepted by the vendors. It took her six months to get the Borough Council to agree to buy the building. Thus started the first comprehensive Old People’s Welfare Centre in the country. Ruth Winston second husband, Goodwin Fox, died in 1974. Her three children all became successful in their fields. We have already mentioned Robert. His brother Anthony had a career in chemicals in America and her daughter Willow is an artist based in Bermondsey and is often seen at events at The Ruth Winston Centre in Palmers Green.